A great trade in program for all XP3 series owners. By sending in your used XP3.1 standard, together with a charge of USD 1,300 you will receive the latest Ace One. 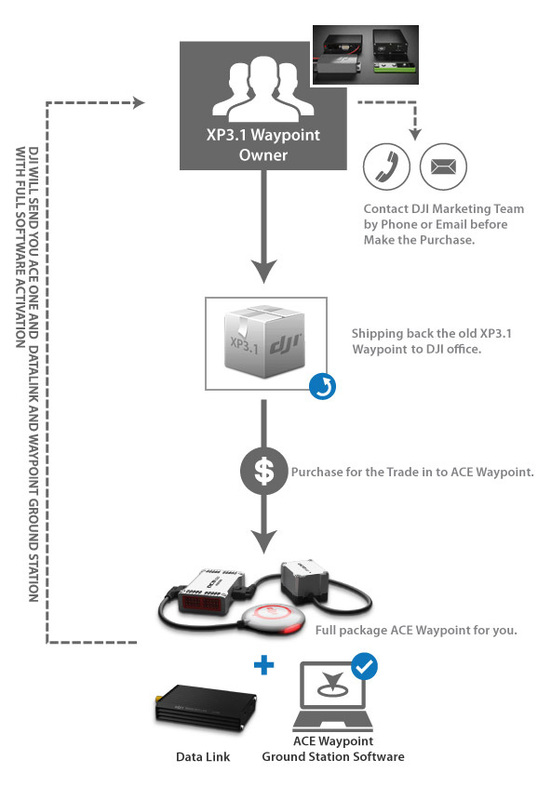 By sending in your XP3 series Waypoint together with a charge of USD 2,500 will receive the latest Ace Waypoint. The new features, including built-in tail gyro, FBL, improved algorithm, quick compass calibration and more powerful ground station system, also adding 2 more years warranty and upgrade support, makes trading-in your Ace One / Ace Waypoint an irresistible choice. Please contact your dealer for more information or send us an email at Sales@DJI-Innvoations.com.